Road to Free College: Yikes, Back to School Ads on TV! You know summer vacation is over when Back to School ads start showing up on TV. When I was a kid, they made me nervous. I knew my family would soon be dropping my siblings and me off at the local department store, and we'd be expected to buy a year’s supply of school clothes. It would have been less traumatic if our schools had uniforms, but they didn’t. We were also taken to the “dime store” to buy school supplies. Teachers didn’t give out lists in those day, we had to guess what we should buy. I never liked back to school ads or the start of the school year because of this anxiety. School wasn’t scary for me though. I knew I would have a new teacher (or several in secondary school), but they were usually friendly and helpful. My schedule was never a problem either. My school planned ahead, and we had an idea of our new courses before we left school in June. School lockers, however, created some concern. I had a recurrent nightmare in which I forget my locker combination over the weekend and had to go to the main office to ask for help. How humiliating. I liked the routine of going to school. There was a place for everything and a set of rules that made learning easy. Home life wasn’t as simple. I had no place to study. What I needed was a desk or table in a quiet, well lit location in my home. Without this, I was left to study on the living room floor or on my bed in my bedroom. Neither spot was quiet or very bright. I did create an after school routine for myself, however. When I came home I made myself a snack while my mother readied herself to go to work, I started my homework, but had to stop at 5:00 to begin making dinner. It had to be on the table when my father came home from work. My siblings, my father and I had dinner together during the workweek. After we finished, one of us kids did the dishes. I went to finish my homework or study. I watched TV after my school work was complete. My parents expected me to do well in school, but never encouraged me. They didn’t help set up a place for me to study, or ask if I needed any help. I remember asking my father for assistance in algebra once, but he was unable to explain it to me. I was on my own. I wasn’t urged to prepare for college either. This was a time when girls were secretaries and boys went into the military. My parents thought these options would provide steady employment. I had to argue when it was time to enroll in college. It was different at school. I knew I wanted to be a high school teacher from a very early age. My teachers told me what I needed to do to prepare for college. I’m grateful they showed me the way. They gave me the support I didn’t have at home. Students of all ages need to know what to do to reach their goals. They need supplies and a quiet place to work or study. They should have access to technology for research. They'll do much better with encouragement. If you're a parent, you could make this happen. If you're a teacher, you're aware some kids don’t have this at home. You should know what you do to support these kids can make all the difference. It did for me and the thousands of students I taught throughout my teaching career. 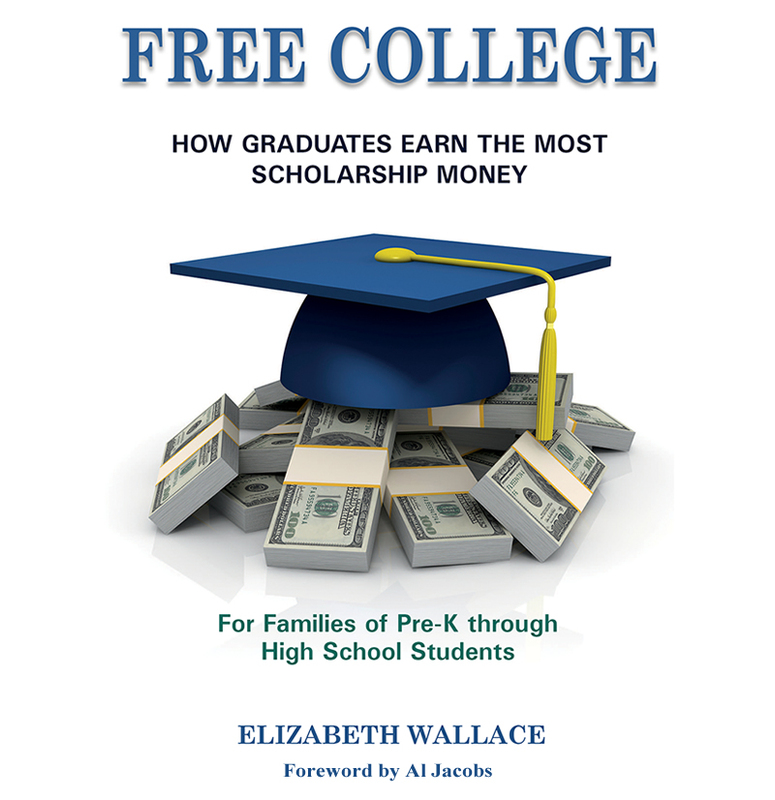 For more information on how to get to college and earn scholarships, you’ll want my new book, Free College Awareness, coming this fall from Griffin Publishing. How to avoid needing college loans; available soon to families of Pre-K through High School students.